Over 45 of these creatures. 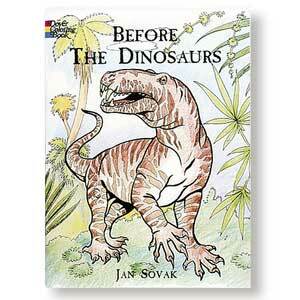 This book will intrigue anyone interested in prehistoric life. 44 B&W line drawings and 13 full color. Paperbound, 48 pp., 8 1/4" x 11".